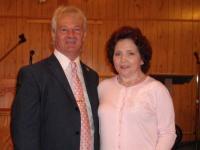 Hosanna Immanuel Ministries was founded by Danny and Earline Cox officially on December 27, 2002, when it was incorporated through the State of South Carolina. A few months later, the Ministry received a 501 (C) 3 Non- Profit Organization status through the Federal Government. 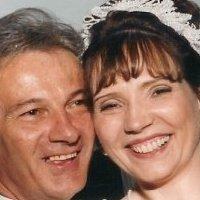 Our Ministry's true beginning was on September 25, 1998 - Our Wedding Day. God ordained our meeting in Jerusalem, Isreal during a tour of the Holy Land in Nov. 1994. He brought Us together to give birth to this Ministry; and, to be help mates and partners. We give all to His Glory and Praise. We are truly Honored and Blessed to be working in the Kingdom of God. Our Heart's desire is to see Souls Saved and people's lives changed by the Anointing of God. We have Ministry Outreaches in the Philippines; Haiti; Ghana (West Africa); Mexico; Isreal and Logan County WV as well as here at home. We have Ministers licensed through H.I.M. - here in SC; in Ghana, Africa and in the Philippines. God is expanding our Ministry and keeping us busy. There is a short time to work - Jesus is Coming back soon for His Church - Any Moment, the Trumpet is going to sound. We are working to get as many Saved as possible until that Day!!! We are excited about Ministering during the Campmeeting at Master's Tabernacle Church in Canaseraga, NY. The Services begin on Wed. July 7 at 6:30 pm with Services at 10 a.m. and 6:30 p.m. through Sunday Evening July 11, 2010. 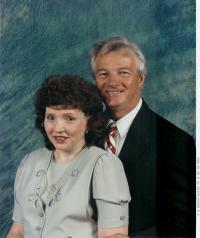 Earline will Minister during the Sat Morning Ladies Service and Danny will Minister on Sun. Morning. We are planning our Annual Christmas Mission Trip to Logan County WV. Our Ministry along with Master's Tabernacle Church of Canaseraga, NY and S.P.A. Ministries of Dansville, NY will hold a Christmas Giveaway at 3p.m. on Sat. Nov. 27, 2010 at Paradise Island, Christian WV. We will have new Toys and Christmas Stockings for the Children and Food, Clothing and Blankets for each Family. Last year, we Ministered to over 500 people. We were all truly Blessed to be a part of God's Work and are looking forward to this year. If anyone wants to donate items or money toward this event, they can contact us at 864 949-8648. Please Sign Our Guest Book at the bottom of this page and also Leave Your Prayer Requests before You Leave Our Site. We Thank You for Visiting Us and We look forward to Hearing from You. May God Bless You Abundantly.